This week we're going ALL Hazardous Tales, hold on to your hat! 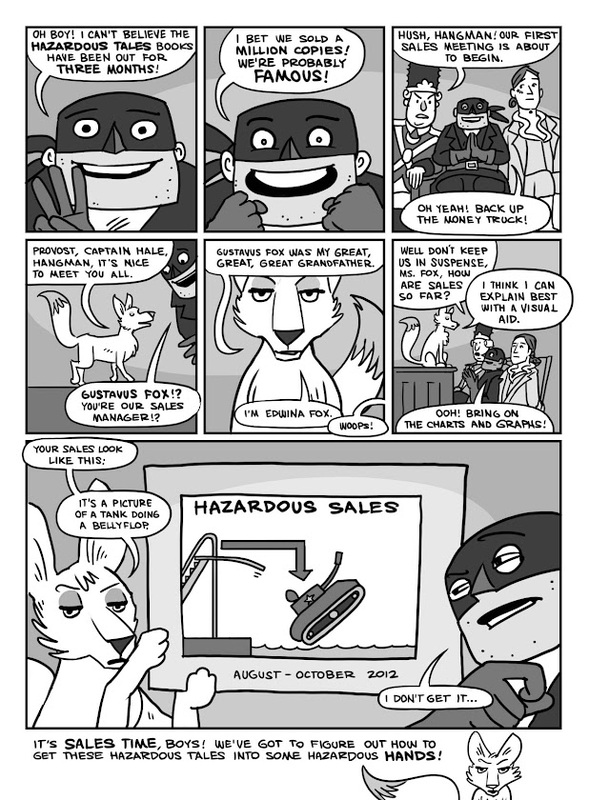 That's right, sales of Hazardous Tales are like a tank doing a bellyflop--okay they aren't THAT bad, but they are for the sake of this story. I'm new to this non-fiction comics game. It's a slower game than I am used to. Tune in tomorrow to see what Ms. Fox has planned to boost sales! I know a good plan--it involves you, the blog reader, buying some copies of the Hazardous Tales. That's an awesome plan.